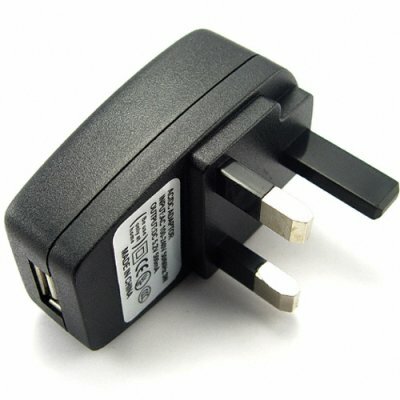 Successfully Added 10pcs+ USB Wall Charger (UK Type - 3 Pin) to your Shopping Cart. 10+ quantity USB wall power adapter for charging USB devices from a wall socket. This model fits the standard socket used in England, Malta, Hong Kong, Ireland, and Singapore (type G BS 1363). This accessory is a perfect way to charge any 5V device such as a MP3/MP4 player that plugs into a computer with a USB. Great for use at the office or whenever you are away from your computer and need to charge your USB device. We are offering this item at a quantity of at least 10 pieces in order to give you the absolute best re-sale profit margin from our low wholesale price and even better shipping rates. Brought to you from the leader in wholesale direct from China electronics, Chinavasion.